When I first chanced upon Maki-San at the basement of The Cathay, I was a little bummed that it wasn’t halal. After all, the idea of being able to stuff all my favourite things into a sushi was just so appealing! Fast forward two years later and lo and behold, news was out that Maki-San had gotten their halal certification ! What I love about Maki-San is the Wide array of choices – from the type of wrap you like to the rice you want and of course, the never ending list of ingredients you can fill your sushi with! 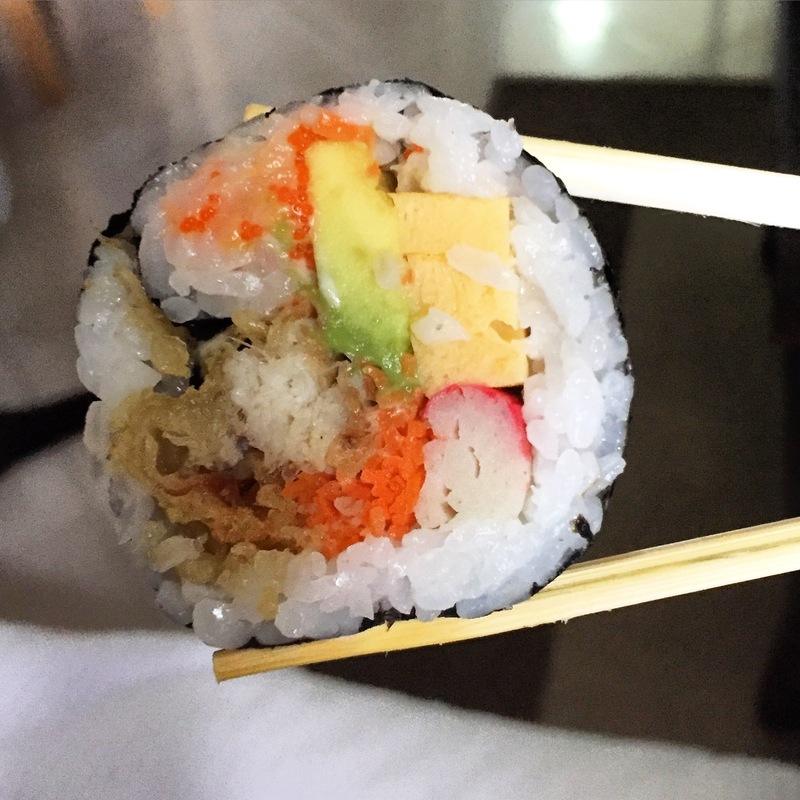 My definite go-To ingredients are the soft shell crab, avocado and the tamago. I am not a fan of raw food so I stay away from that and because I’m greedy I always order a mega-San ($9.90) for everything ! My only gripe is that there are only Two locations in Singapore (i12 Katong and The Cathay) and the queues are always so Long! If you haven’t stopped by Maki-San, you really should! I’ve yet to be disappointed but like we always say, different people have different opinions so do try it for yourself to decide! There’s a new outlet that opened like last month? Or so. At cathay cineleisure!